Of all the locations to be found in Bangkok, Thailand’s “City of Angels”, none can be more desirable than on the banks of the majestic Chao Phraya River. Home to many of the capital’s most luxurious hotels, enticing restaurants and stunning temples every memorable moment spent beside the very lifeblood of the city contains a lifetime’s worth of picture-perfect memories. Whether it’s to experience the sun rising over the metropolis or take in the spectacle of an awe-inspiring sunset only one word can spring to mind – unforgettable. 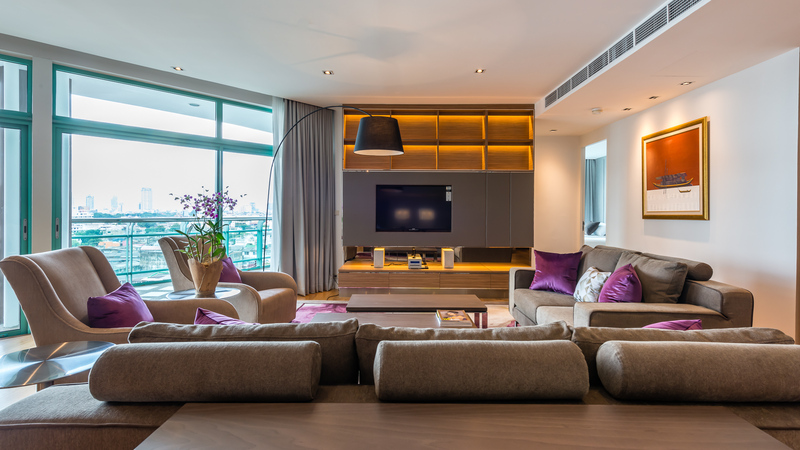 And towering above it all are the 36 floors of Chatrium Residence Riverside Bangkok, a mere 39 kilometres from Suvarnabhumi International Airport and easily accessible from the nearby expressway. Every spacious residence, comprising of from one to four-bedroom configurations featuring expansive private balconies with unsurpassed views of either the river or Bangkok’s imposing skyline, has been designed with a single purpose- to provide a real “home away from home” experience fully living up to the Chatrium Group’s slogan of “Live the Remarkable.” The 5-star fully-serviced accommodation offers all the comfort and convenience of the family home including separate fully-equipped kitchens, washing machines and dryers, master bedroom with en suite bathroom ( along with the accompanying bedrooms all outfitted with luxurious bed linen) and a range of housekeeping and laundry services to take the toil out of a relaxing stay. 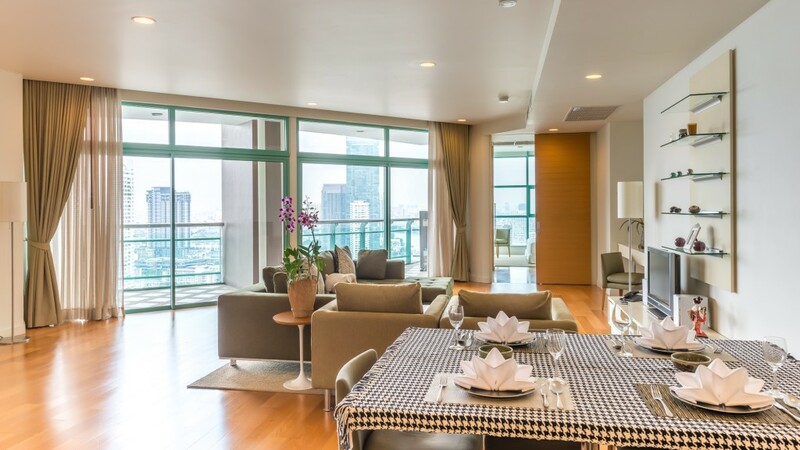 First-class accommodation deserves first-class facilities too and Chatrium Residence Riverside Bangkok is certainly not found wanting in this area with everything a discerning guest might possibly need to make their stay complete. 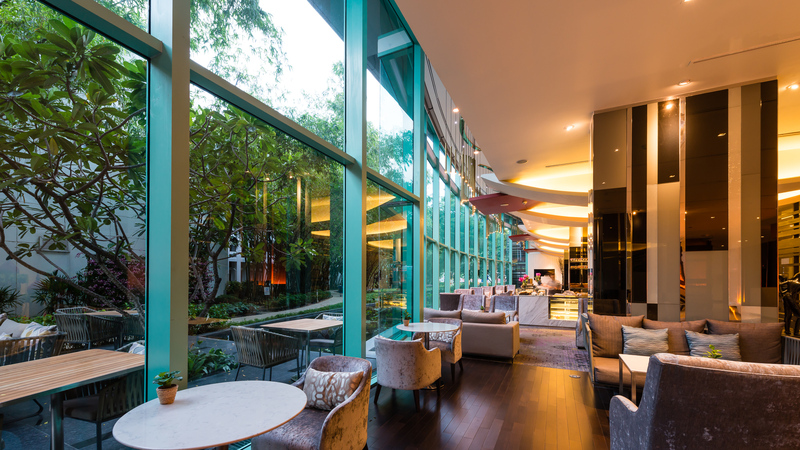 Being as it is located literally next door to Chatrium Hotel Riverside Bangkok, the recipient of a worldwide “Top 10 Loved by Guests” award from Hotels.com, the premium top-notch facilities of the hotel are freely available to Chatrium Residence’s guests. The sixth floor swimming pool is the perfect place to while away a few hours indulging in the fine art of simply chilling out and complete with outdoor Jacuzzi and sun loungers to enjoy observing Bangkok’s fascinating riverine life the biggest problem you’ll face is relinquishing your spot to do something slightly more strenuous. And if slightly more strenuous is your cup of tea then you can carry out your daily fitness regime at the fully-equipped fitness centre complemented by separate male and female saunas and extra activities such as dance classes. When business calls the residences also provides a business centre with hi-speed wi-fi, secretarial, interpreter and translation services, telephone, facsimile, photocopying, scanning and printing services, three private meeting rooms with stunning views and 6-18 –person capacity boardrooms equipped with LCD projectors. And if all that seems a bit too much a visit to the luxurious Nemita Spa is an absolute must with an intoxicating range of massage, aromatherapy, facials and bathing rituals for you to indulge in at the hands of the skilled therapists. If a perfect dining experience is what you seek the eclectic range of restaurants at Chatrium Hotel Riverside Bangkok are also on hand for the residence’s guests to take full advantage of. 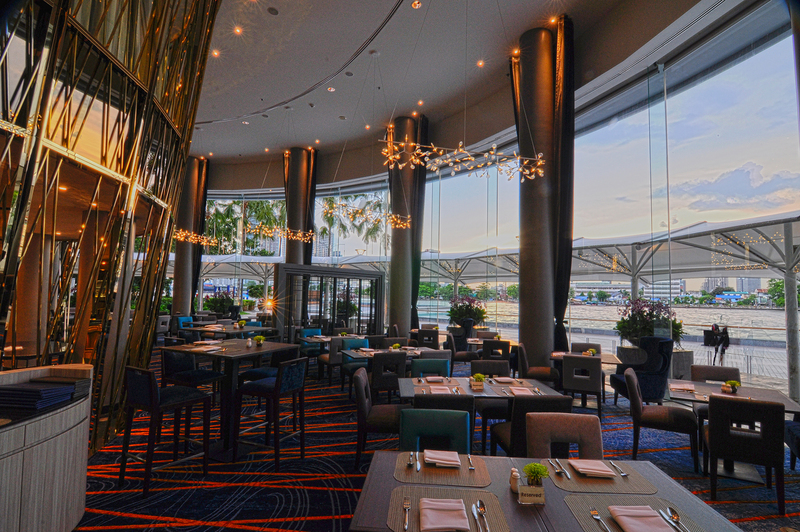 The recently reopened and refurbished River Barge restaurant has a tantalizing selection of Bangkok’s best themed buffets and à la carte menus every night of the week and what is possibly Bangkok finest Sunday Brunch including Chef’s signature specials, the freshest seafood, live cooking stations and imported artisanal produce such as Tajima Wagyu beef and San Daniele ham. Silver Waves Chinese Restaurant on the 36th floor features both contemporary and classic Cantonese cuisine with a picturesque bird-eye view to match and Chef’s freshly-prepared all-you-can eat dim sum delicacies and signature tea-infused Peking Duck. For stylish al fresco dining Pier 28 on the ground floor terrace or the 6th floor Pool Bar provides an inviting menu of local and international snacks and full-course meals plus an entire range of intoxicating beverages and cocktails while the sedate Lobby Lounge is the ideal place for relaxing beside the tranquil, verdant greenery of the lotus pond as you tuck into one of Treats Gourmet’s sumptuous freshly-baked sandwiches, savouries or cakes or sip a cup of the finest coffee or tea. 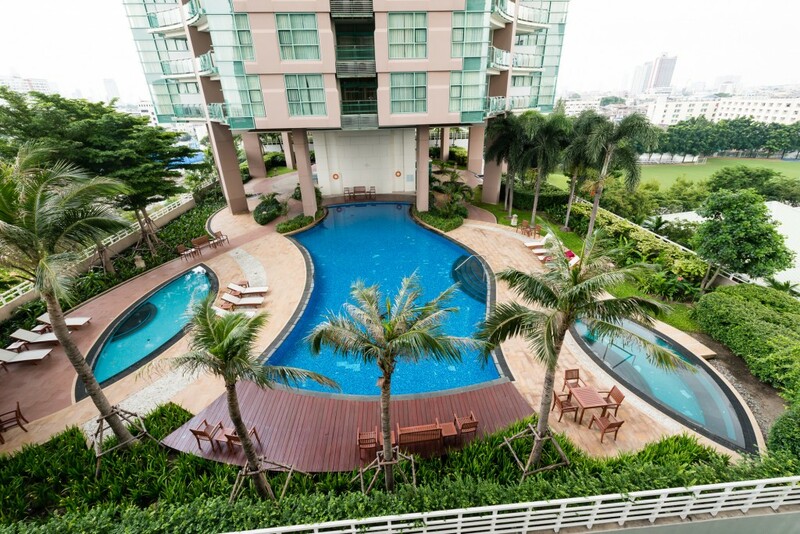 And with an array of residence shops literally on the doorstep including Saizen Japanese Restaurant, Starbucks, 24-hour 7-11, beauty salon and bespoke tailor plus complimentary shuttle boat service to and from Sathon Pier and the Sapan Taksin BTS skytrain station for the ultimate in convenient urban living the only possible issue you may have with a stay at Chatrium Residence Riverside Bangkok is handing back the keys and regretfully checking-out.